The Rabbit Air MinusA2 Air Purfier Has EVERYTHING You Need for Cleaner Air! Do you have someone in your house that suffers from asthma or allergies?? My husband and son suffer from seasonal allergies and I have made it my mission to help them the best I can! Part of my plan has been to have an air purifier for every room in our house. Since I have made sure to have them running all the time in each room, my son and husband don't see any symptoms and are basically allergy free these days!! Therefore, we have A LOT of air purifiers in our house and if I had a favorite, it would definitely be the Rabbit Air MinusA2 from the Artists series that we recently received! It has SO MANY amazing features and fits perfectly in our black and white themed living room. It is made to blend into any home decor and can EVEN be hung on the wall! People will think it is a beautiful picture when in fact it is really cleaning their way AND a beautiful picture!! Rabbit Air is one of my favorite air purifier companies because they provide some of the highest quality air purifiers! These MinusA2 models are a HEPA (High-Efficiency Particulate Air) quality air purifier that filters and removes 99.97% of allergens and pollutants without producing harmful byproducts, but is designed to complement home décor! Everybody wants an air purifier for their home but nobody wants a random air purifier messing up their decor or room color scheme! I have to say the most unique feature is that it is designed to either stand alone or be mounted on the wall. The floor stand is included with unit and can be easily removed for wall-mounting. I love that it can get off the floor because I don't have enough in our living room to begin with (my son has WAY too many toys!!). It gives me floor space and decorates my walls with a beautiful picture at the same time! I also love that it is Energy Star Certified so it makes it less expensive to operate! The Six Stage Purification with BioGS Filtration & Custom Filter is also really unique! 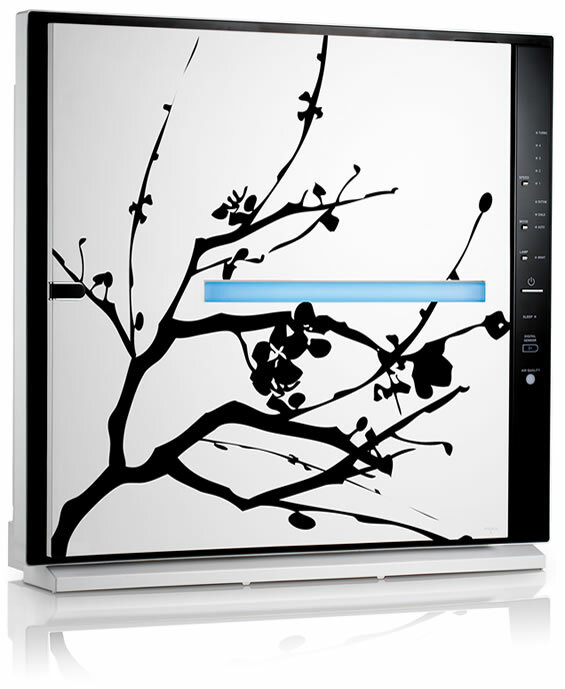 You can customize the MinusA2 air purifier by choosing from a variety of custom filters that will benefit you most. Choose from the choice of Germ Defense, Pet Allergy, Toxin Absorber or Odor Remover. Each type of custom filter is specially engineered to trap and reduce different types of germs, chemicals or allergens. The unit also includes a six stage purification system and an activated carbon filter to fight off odors. It is capable of trapping airborne allergens and contaminants down to 0.3 microns in size 99.97% of time. This MinusA2 purifier is also covers the largest coverage area of any purifier I own! It filters all of the air in a room up to 700 sq. ft. (or 815 sq. ft. for the SPA-780A) twice in an hour on the turbo setting! That is a lot of space covered!! And it does all of that really quietly!!! It has 5 different speeds of operation, but when operating at low speed, the air purifier's motor barely makes a sound! 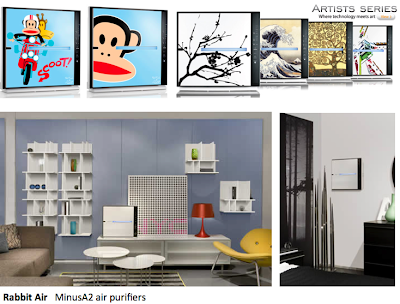 So as you can see, they have thought of EVERYTHING with the MinusA2 purifier from Rabbit Air - it fits any color scheme, can be hung as room decor or set on the floor, has custom filters for every goal (remove germs, pet allergies, absorb toxins, or remove odors!) and it fights odors! Plus, it does that all while covering a very large area in your house QUIETLY!!! Wow! Now you can see why I love my Rabbit Air MinusA2 purifier!! The price is a little spendy but I think you definitely get your money's worth with this air purifier! Buy It: You can purchase the Rabbit Air MinusA2 Artists Series starting at $479.95 from the Rabbit Air website.